Today is National Coming Out Day. Though the day itself is often met with a multitude of reactions even within the LGBTQ community, it is an opportunity to highlight and celebrate our community. One of the greatest defenses against oppression, discrimination and bullying is a connection to community – finding a place and a group of people with whom you can feel safe to be yourself. This is particularly for adolescents and young adults. 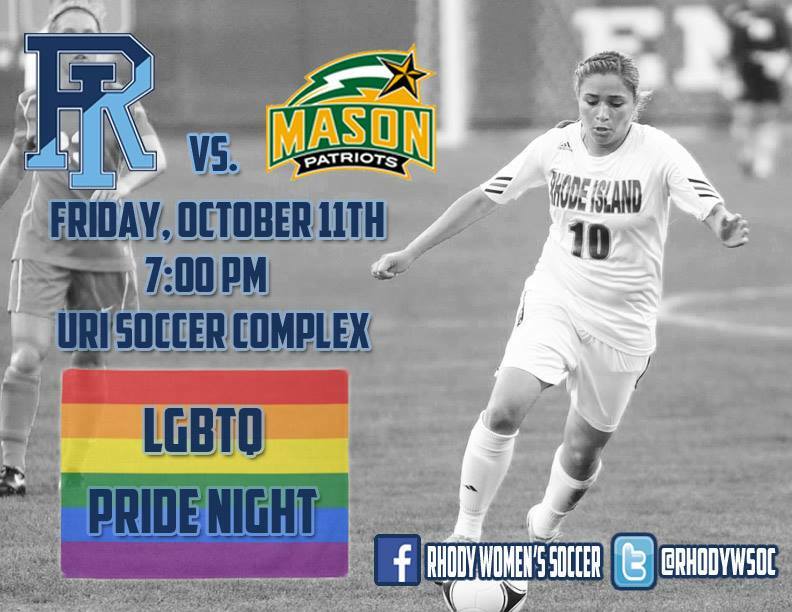 Tonight, the University of Rhode Island’s Womens Soccer team will host an LGBTQ Pride at their game against George Mason. Rhode Island LGBTQ groups will be present. We are thrilled to be part of the event as part of COLAGE RI. Join us tonight, Oct. 11 at 7 p.m. to support the URI Womens Soccer team and our community.